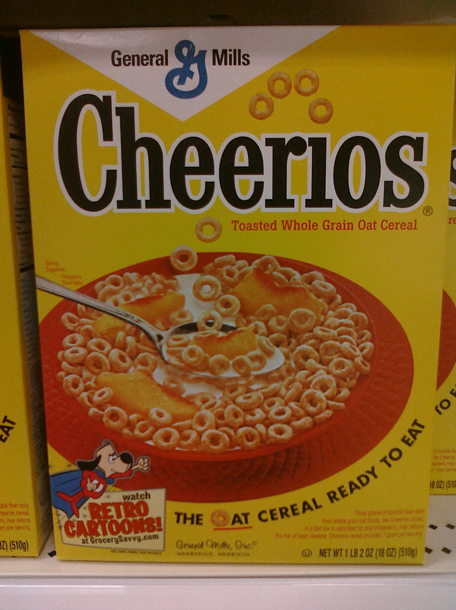 And once again, I find retro boxes of some General Mills cereals. This time, it was at Target. These photos are in the order of my favorites, which my regular readers know the top choice is always Lucky Charms. Trix have always been a tasty second and Cheerios are a good standby [especially once you add a spoonful of sugar, which settles nicely at the bottom of the bowl]. 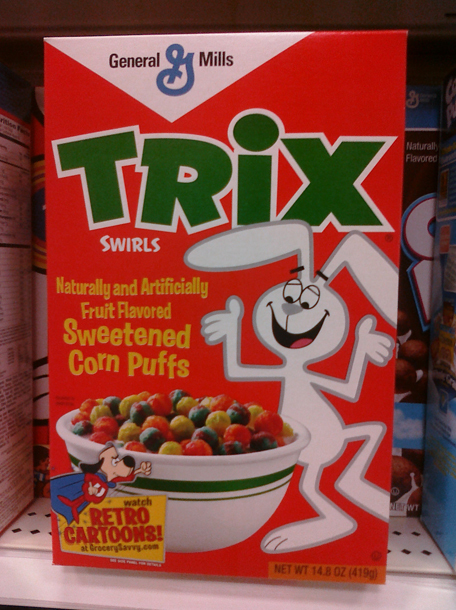 And as a bonus, General Mills has teamed up with Target to bring some cartoons from the past. Click this link right here to open a new page and watch classic episodes of Tennessee Tuxedo and Underdog. The page starts you with King Leonardo, which I vaguely remember watching as a kid. 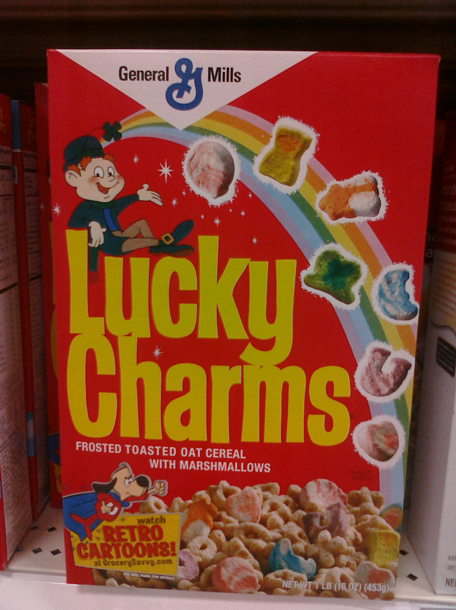 Based on the marshmallows pictured on that box of Lucky Charms, it isn’t my idea of retro. Pink Hearts, Yellow Moons, Blue Diamonds, Orange Stars and Green Clovers. *Maybe* include the Purple Horseshoes, but certainly not the swirled colors or the balloon and, what’s that? a chest of gold? a lantern? True, you make a valid point about the marshmallows not being solid colored like they were in the original Lucky Charms. Now if they did that, it would truly be retro. BTW, the original I remember (as you mentioned above), there was 4: pink hearts, yellow moons, orange stars and green clovers. Blue diamonds came during the late 70’s. Yum – I loves me some Lucky Charms! And the new ones also have rainbows. After I did this blog post, I had Lucky Charms for breakfast 3 days in a row. oh yeah… love that sugar at the bottom of a bowl of Cheerios. Lucky Charms are an easy favorite.